Iron Maiden, British Army in World War III is a 48-page hard-back book that tells the story of Major Charles Leslie’s Squadron of Chieftain tanks and the stubborn fighting withdrawal they fought against a relentless Soviet invasion. 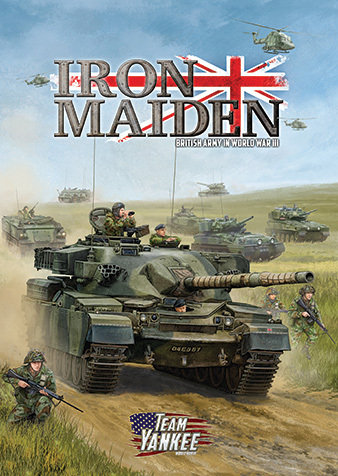 Iron Maiden provides players with Army lists for the “Death or Glory Boys’” Chieftain Armoured Squadron, the Irish Guards’ Mechanised Company, the Gordon Highlanders’ Airmobile Company, and the Queen’s Dragoon Guards’ Medium Recce Squadron, as well as history of the British Army of the Rhine, painting guides and scenarios. 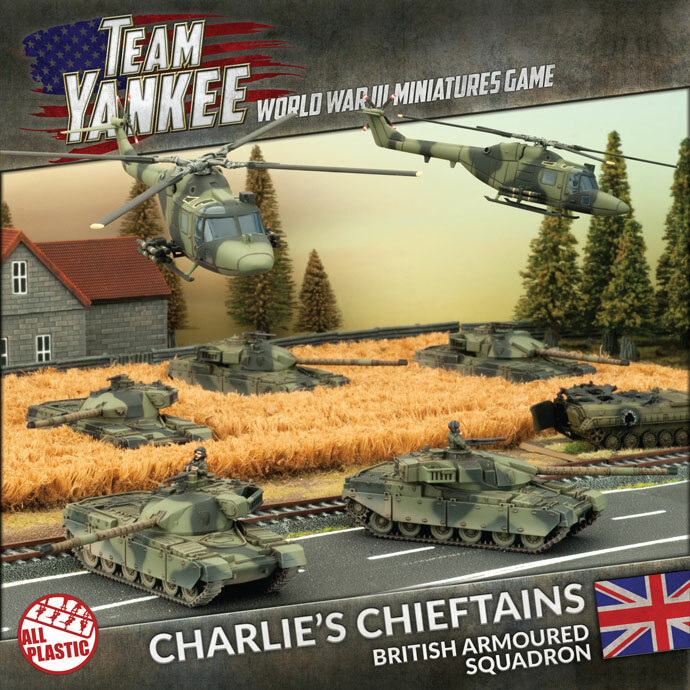 Our British army deal for Iron Maiden is the Charlie’s Chieftains armoured squadron. 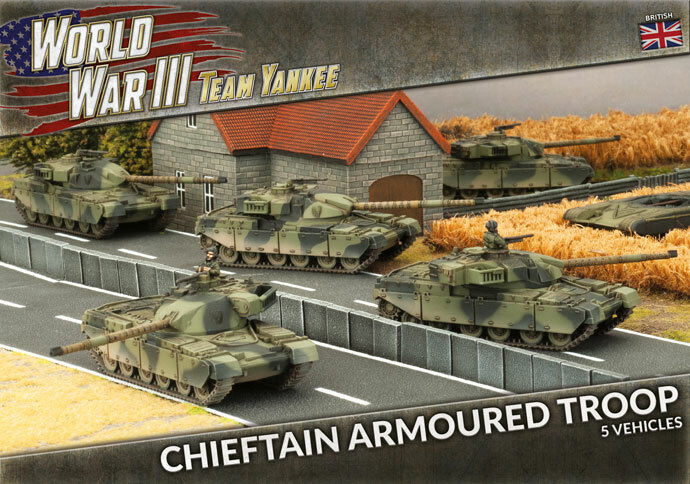 With five plastic Chieftain Main Battle Tanks and two plastic two Lynx helicopters, Charlie’s Chieftains is the perfect way to start your British Cold War army. 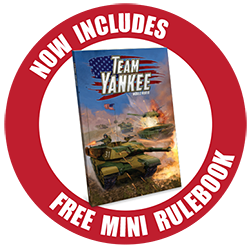 To help introduce new players to Team Yankee, Charlie’s Chieftains also includes a free Team Yankee mini rulebook! 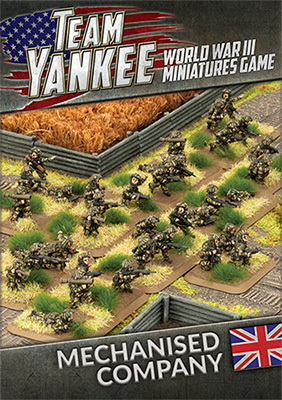 This 90-page, full-colour A5 soft-cover rulebook includes the full Team Yankee rules, only without the army statistics, which are available on your Force, Formation and Unit Cards. 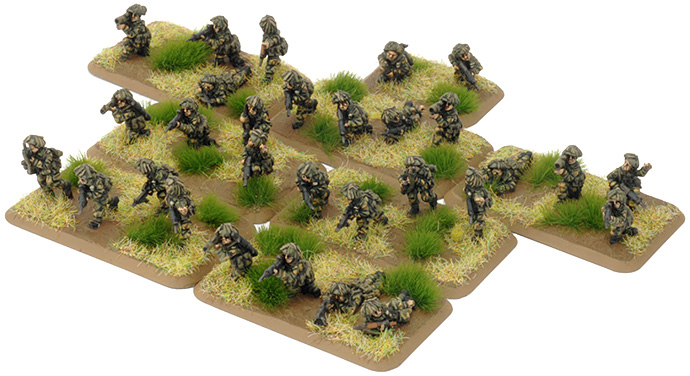 This nine-colour paint set, when combined with the Quartermaster's Paint Set from our Colours Of War paint range, contains all the colours needed to paint your British army for Iron Maiden. 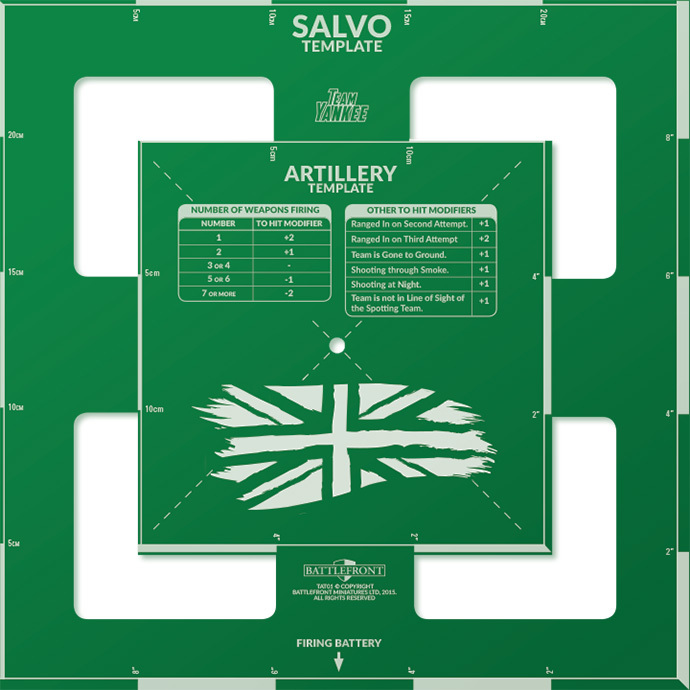 And to get your new British vehicles painted quickly and easily, Chieftain Green is also available as a 400ml spray can which exactly matches the bottled colour in the Team Yankee British Paint Set. The FV432 armoured personnel carrier is the British equivalent of the ubiquitous American M113.The design is very conventional, being made of welded steel plates and capable of carrying a section of ten infantry. 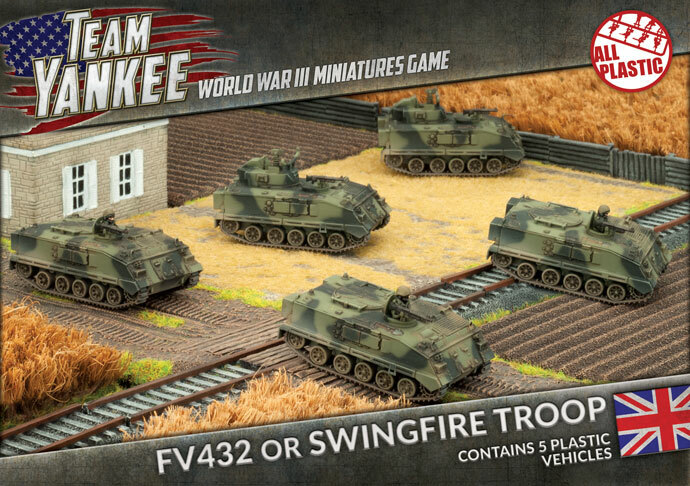 This box gives you five plastic FV432 APCs to use as ‘battle taxis’, delivering your infantry to the battlefield protected from enemy fire. 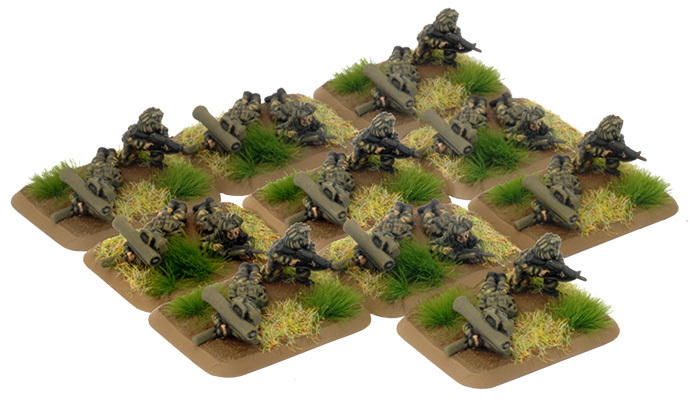 Or you can assemble them as Mortar carriers or Swingfire missile vehicles. The FV433 Abbot self-propelled gun mounts a 105mm gun on a modified FV432 armoured personnel carrier chassis. Although its calibre is relatively small for a modern artillery piece, the 105mm gun fires a high-capacity shell that gives it an excellent performance. The Abbot provides close support for the armoured brigades, where its presence is much appreciated. 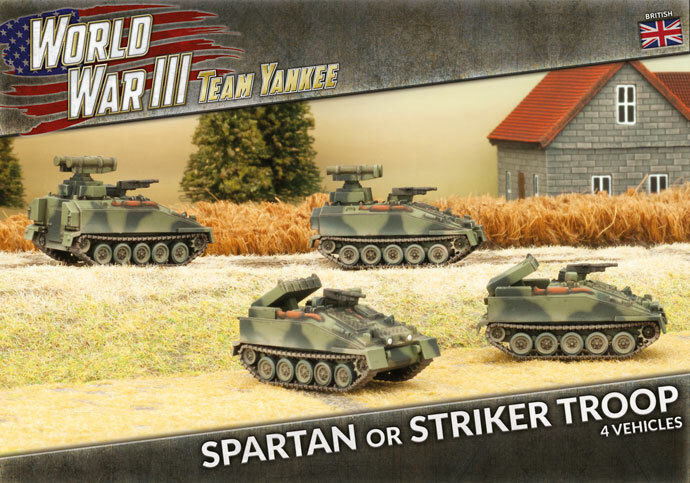 The guns are very effective against infantry and light armour, as well as providing smoke screens to mask the defenders from enemy fire while repositioning. The Milan missile is a modern man-portable, light anti-tank missile. Its small size makes the missile team easy to dig in and conceal, yet it can penetrate most tanks. 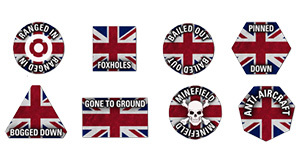 The British have access to a plentiful supply of Milan systems, making them fearsome in defence. 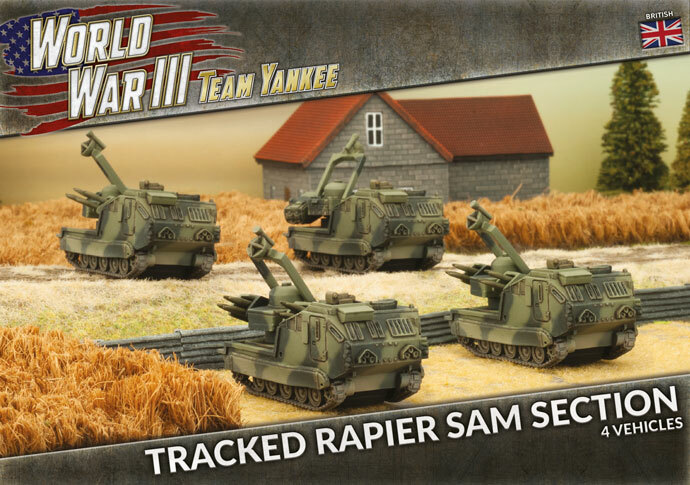 Tracked Rapier is a self-propelled version of the excellent Rapier surface-to-air missile (SAM) mounted on the chassis of a modified American M548 tracked carrier. Typical of British missiles, the Rapier is not a homing missile, instead the commander tracks the target using a helmet-mounted sight, and the launcher sends signals to the missile to steer it on to the target. 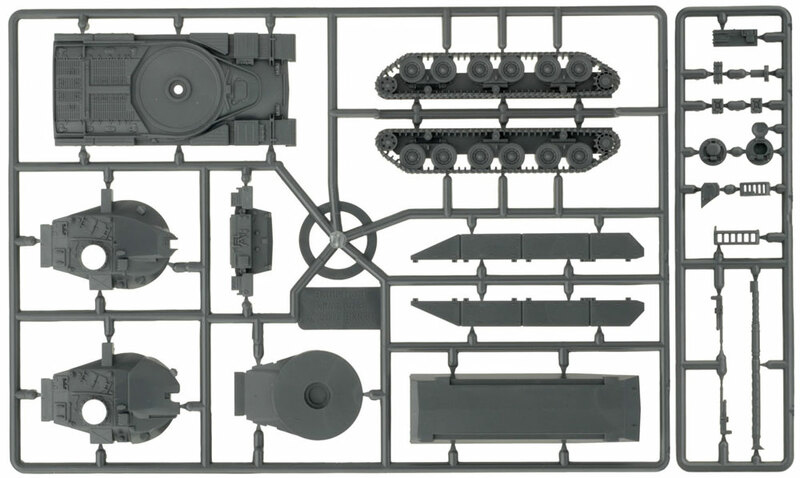 As the FV432 armoured personnel carrier was designed to carry a full section of infantry, the mechanised platoon mirrors the organisation of the standard rifle platoon with a HQ section and three rifle sections. 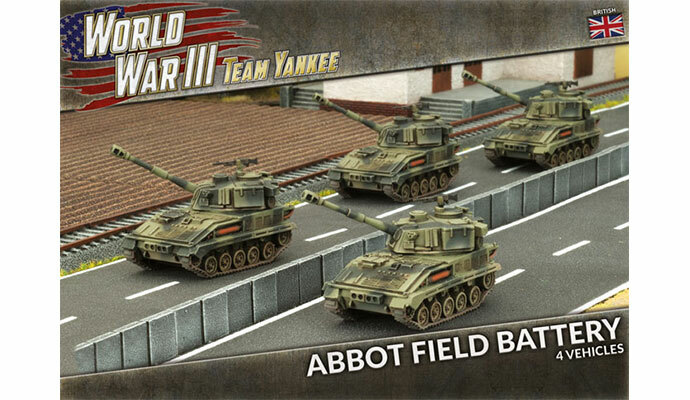 The British fought the Second World War in fast light tanks, outgunned by their opponents. But times have changed! Now, the Chieftain tank has the thickest armour and biggest gun of any tank in NATO. 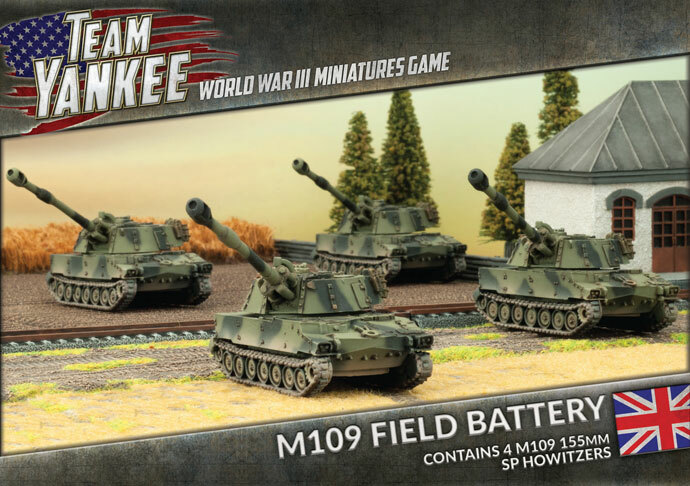 The divisional artillery has replaced the Abbot with the American M109, with its 155mm gun. This powerful weapon is called upon when some serious firepower is needed. The British Army Of the Rhine had three tracked reconnaissance regiments. The recce troops of the first two were equipped entirely with Scimitar reconnaissance vehicles, while the recce troops of the third mixed Scimitars and Scorpions together. The FV103 Spartan armoured personnel carriers based on the same Scorpion chassis as the rest of the squadron. These give them the speed and protection to get into position ahead of the enemy in time to prepare a hot reception. 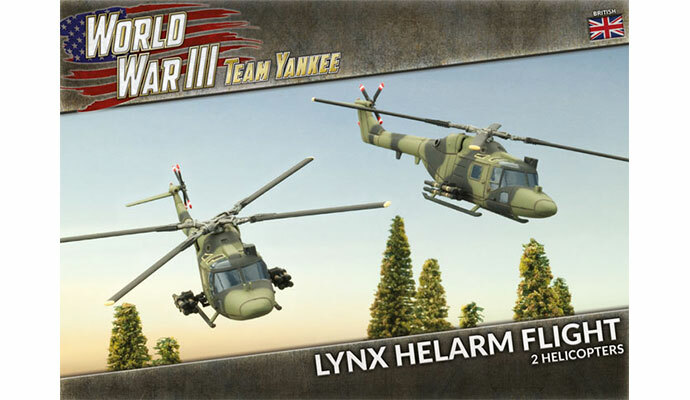 Do you want one tank, vehicle or aircraft to complete your force without having to buy a whole platoon box? Maybe you just need one more vehicle to fill out your optimal army build. Whatever the reason, you can now purchase single plastic models as featured in Iron Maiden through the Special Order section on our online store. 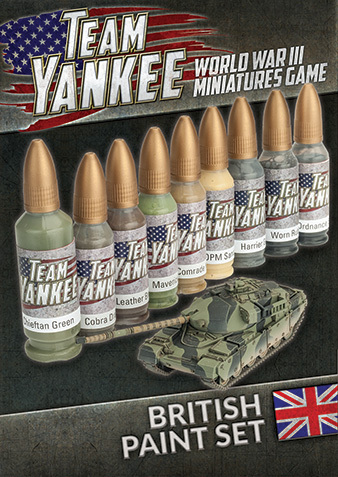 Dice sets are now available for the British forces in Team Yankee. 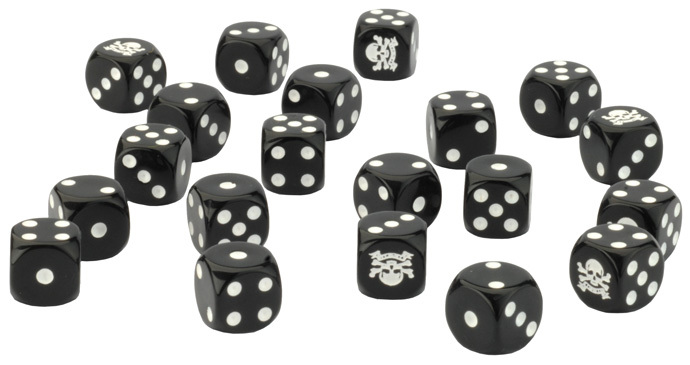 Each set contains 20 dice specifically themed for each of the nations and includes the national / divisional symbol as the six. 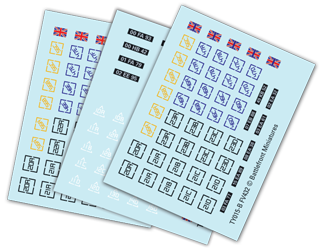 The British have a more complex marking and unit numbering system than other NATO countries, and they have a variety of decal sheets. Casey has prepared a handy guide to help you correctly place all of your vehicle markings. Miniature designer Evan Allen has been conducting exhaustive research for his new Iron Maiden army. 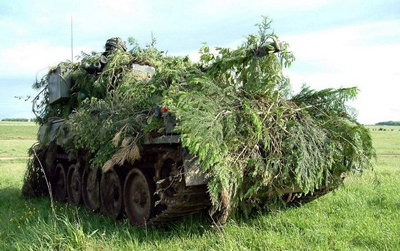 One thing he found for the CVR(T) (Combat Vehicle Reconnaissance (Tracked)) family of vehicles was the extensive use of camouflage netting and local foliage – important for lightly armed and armoured vehicles whose mission (and survival) relies on being inconspicuous. 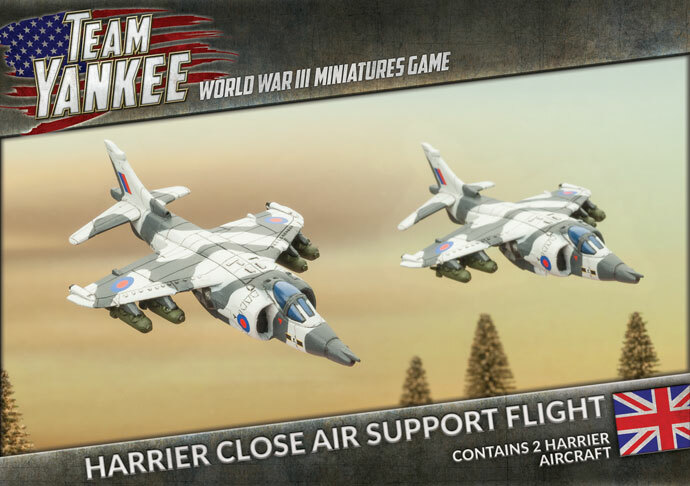 Mitchell Landrum offers his thought on creating a force for Team Yankee featuring the British Chieftain Armoured Squadron from Iron Maiden. 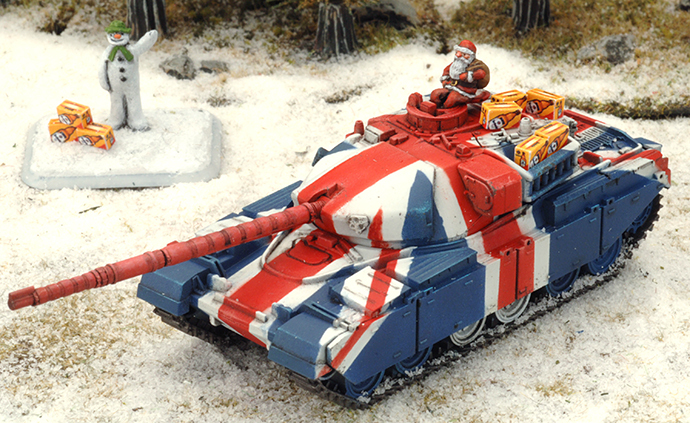 Inspired by the release of Iron Maiden, James has whipped up a model of a decidedly British Father Christmas delivering some well-deserved refreshments to the thirsty squaddies in Germany. 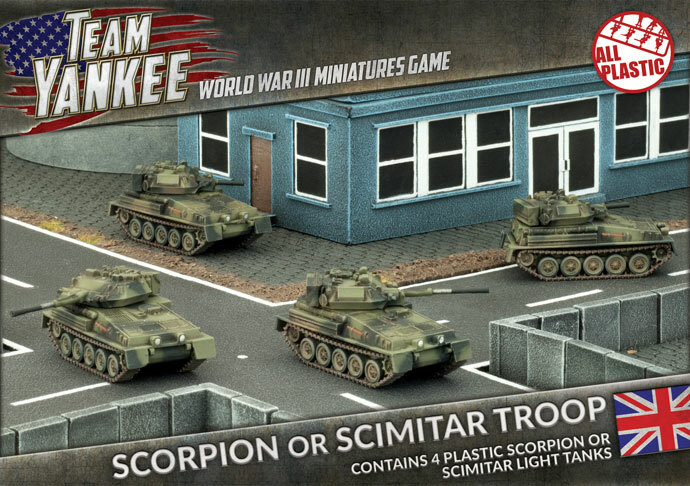 Iron Maiden includes two scenarios; Covering Force and The Defence of Shellerten. How you can play a third scenario covering the defence of the Bridge at Heinde. 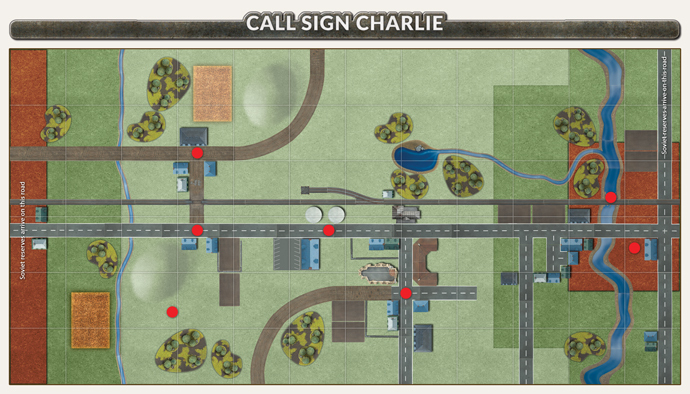 There is also an extended scenario that combines all three scenarios into a mini-campaign, Call Sign Charlie.